This gorgeous small apartment makeover is great for a young couple or even a single person that wants to live in style. 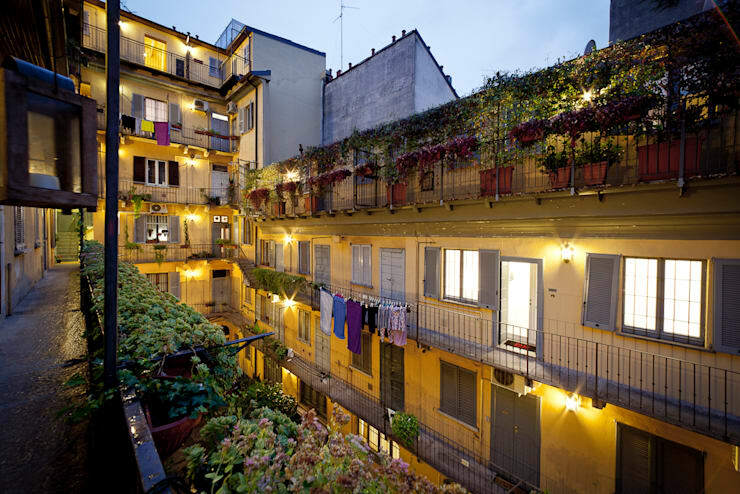 While from the street the building may look like nothing, the apartment of only 33 square metres hides and exciting and attractive décor secret. Modern design, a neutral pallet and sleek, shiny appliances adds a contemporary and sophisticated style to the interior. Let’s take a look at this compact masterpiece home and be inspired! Before we visit the stunning interior of this contemporary home, have a look at the garden and balcony that surrounds the fantastic apartment in harmony. A balcony is great space to enjoy the company of friends and family on a warm summer night, or just simply allow the fresh air to enter into your home, making it comfortable too. Now let’s take a closer look. As we enter into this gorgeous apartment, we get an idea that although it is small, it has an irresistible stylish design and comfort made possible by expert interior designers. The minimalist style of this home creates a sleek and comfortable edge, while white and grey enhance the spacious atmosphere in sleek splendour. From here we can see the living room space as well as get a sneak peek into the modern kitchen. 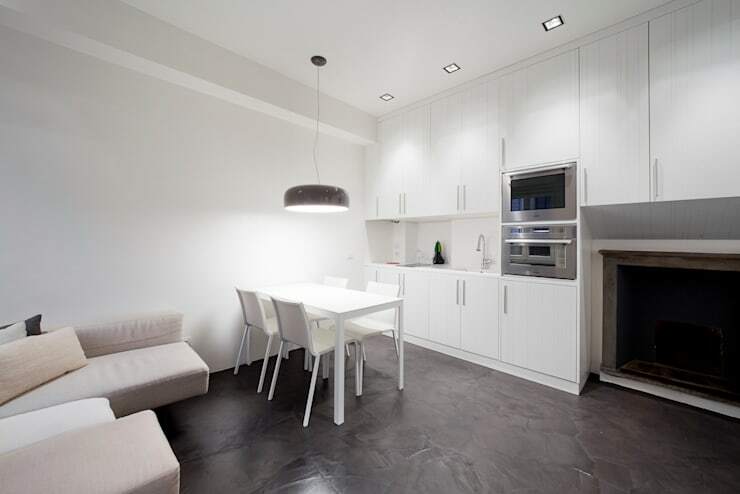 The space has an open plan living feature, making the area look trendy and uncluttered. As a result of the homes diminutive size, many items are collapsible and therefore save space too. However, the home maintains the much needed style and comfort accessories too, such as air conditioning, great lighting as well as picture perfect white limestone walls. The kitchen, dining room and living area in shared space is the go to option for new homes, creating a seamless take on modern living. 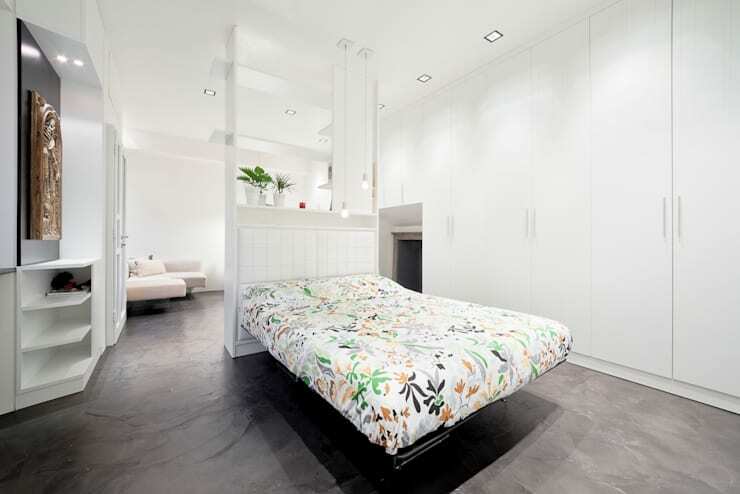 The bedroom of this apartment fits in with the design concept of the entire home, while remaining functional too. The harmonious design that blends perfectly with the rest of the style features, has however included a playful contrast through the fun and bright duvet covered. This takes the grey and white décor to a funkier edge of design. The large cupboards in the bedroom allows for exceptional storage of all clothing and shoes, making the space uncluttered and tidy at all times. From this angle we can appreciate the studio style of the modern apartment. The bedroom and living space is divided by just a large TV wall. Allowing for an easy flow from bedroom to kitchen, to living area without opening or walking through any doors. This open approach to design has allowed the home to seem more spacious and elegant, instead of cramped up. 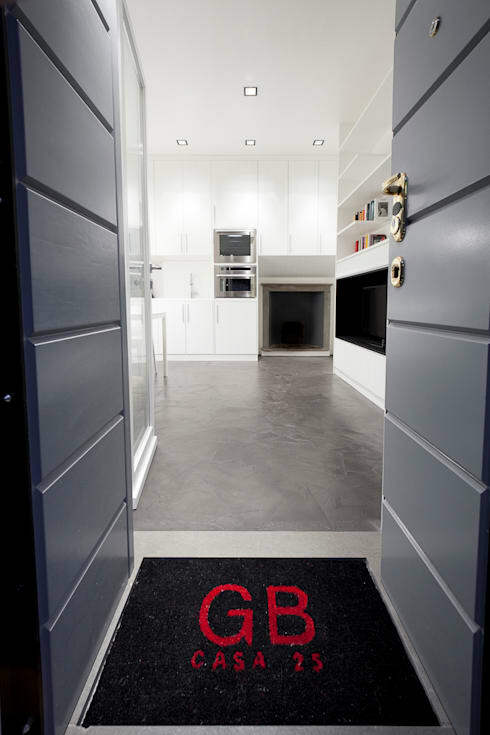 Here we catch a glimpse of another surprise feature in this modern apartment… the red door. It’s a stunning contrast to the all-white colour pallet used in the room, but you could easily miss the almost invisible door if it wasn’t so striking in colour. Continue reading to see what’s hidden behind the door! This is a creative way to hide a bathroom in plain sight. 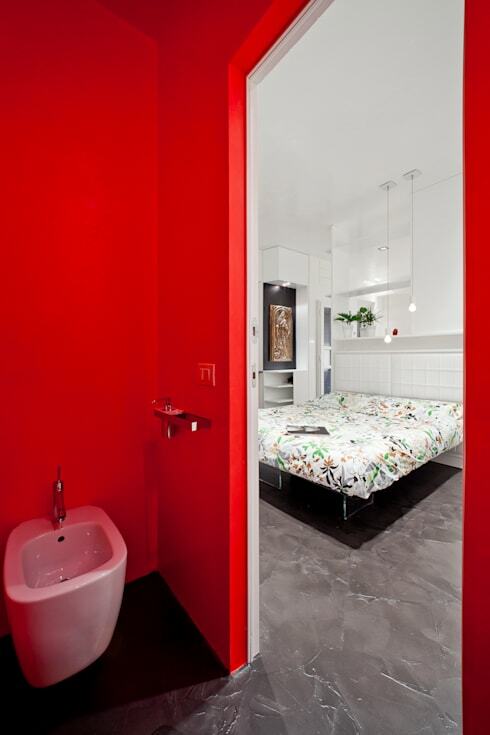 The red is attractive and allows the white fixtures and fittings to stand out even more. It’s definitely a fantastic way to make a statement in your home too. 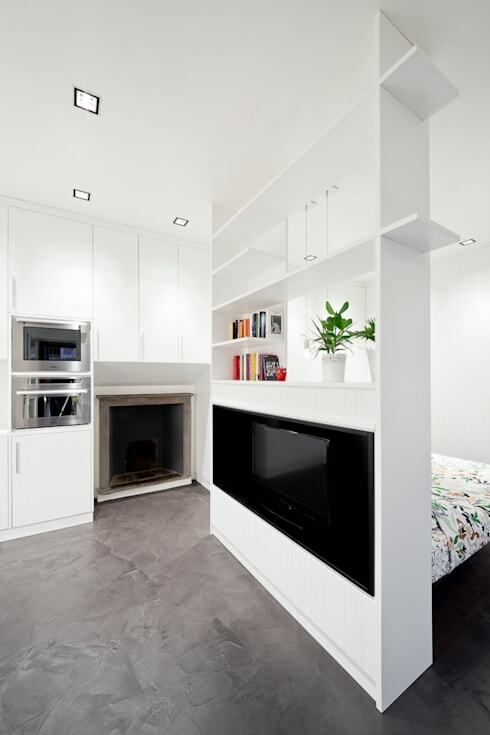 If you are looking for more inspiration to accentuate your tiny home, then this Small but Perfect: the 35sqm Dream home is a great read. Would you incorporate this style into your own modern apartment?